It’s exciting to see that Fast Forward has found, what’s in my opinion, the perfect “sweet-spot” in terms of rim profile – with its new F3 wheelset. I’ve had numerous wheelsets over the years, which have ranged from a minimalist 22mm to the outrageous in excess of 50mm – and virtually everything else in between. To me, 30mm (or thereabouts) seems to yield an a excellent balance between unsprung rotational mass (i.e. weight) and aerodynamic properties – for the best all around riding conditions. Particularly, if you live in a location where hills are as plentiful as they are in western Massachusetts, where I live. In addition to their ideal profile, the F3 checks every box in terms of application, wherein the new wheel is offered in full carbon clincher and tubular variants, and much to the delight of the “gravel grinders” – a disc brake option as well. Moreover, with its 22.4mm rim width, the new F3 is also wide, which will undoubtably garner further appeal from the gravel rider segment. 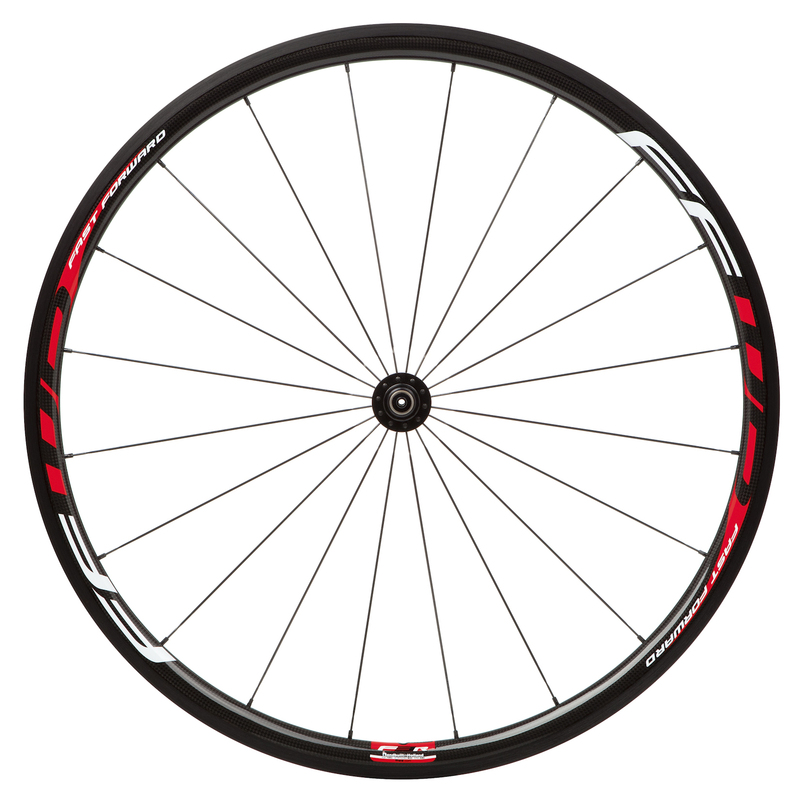 As for me, I’m an inveterate tubular junkie, and at 1195g, these F3’s must spin up like buzz saw. FFWD Wheels introduces a complete new range of carbon wheels under the F3 family name. The F3 family of wheels consists of full carbon clincher, tubular and disc brake options and has been developed with the latest proprietary technologies. The full carbon F3 rim boasts a 30mm deep and 22.4mm wide profile making it a versatile performance wheelset for the road, gravel or dirt. The F3R tubular (1195g) and F3R FCC (1395g) sets are equipped with CBT Brake Technology and are Hand Built with 3 hub available options: FFWD by DT Swiss, DT240s or DT180. Color options are Red or White. The F3D (1265g) and F3D FCC (1465g) feature a new specification based on the DT240 center lock hubs with 12mm thru axle system (adaptable to 5mm QR or 15mm thru axle), Sapim CX-Ray straight pull spokes and 24 spokes in both the front and rear wheel. The F3 range can now be pre-ordered with availability in October 2015.